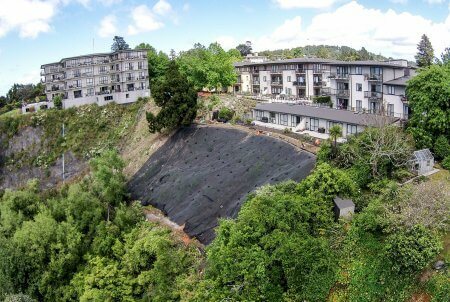 There had been several slips that were starting to endanger the foundations of the building, and Earth Stability was contracted to soil nail and retain the face of the cliff to prevent any future slips from occurring. 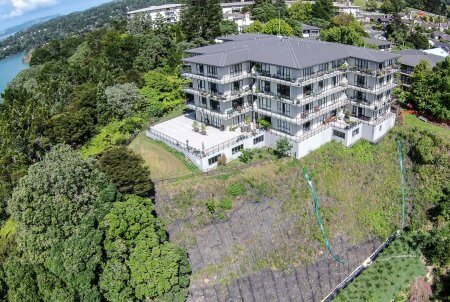 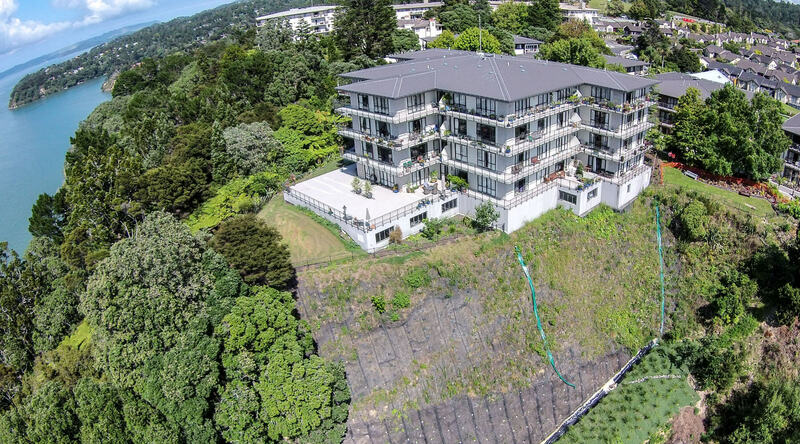 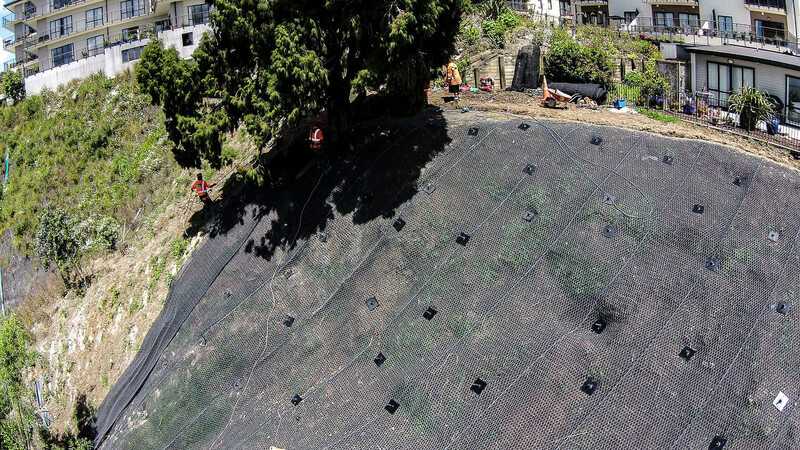 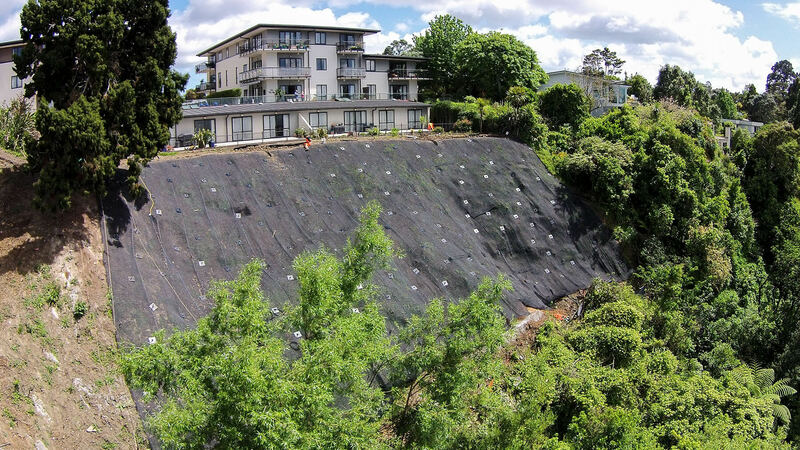 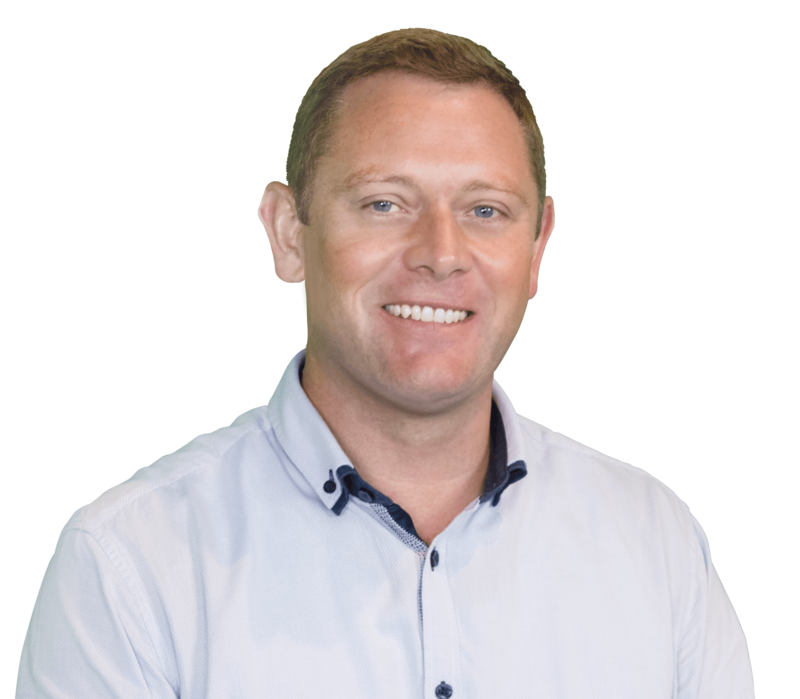 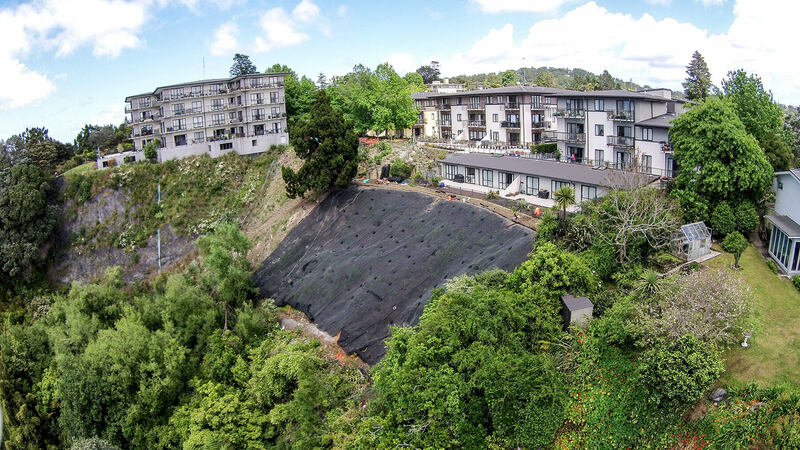 Cirtex provided DuraMat RF which was placed across 1,100m2 of the exposed cliff face to retain the soil and allow vegetation to grow, while also allowing anchors to be drilled through it. 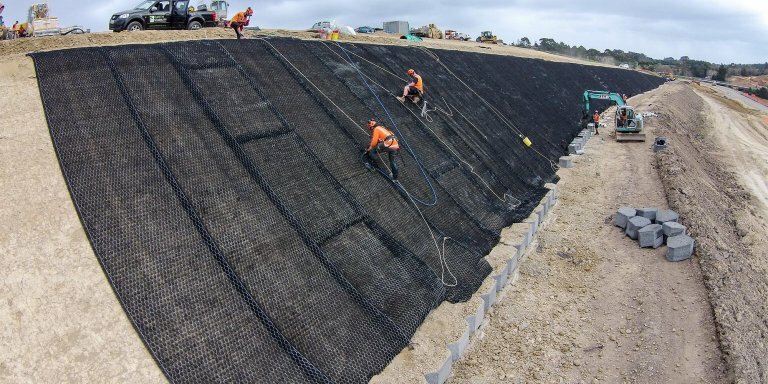 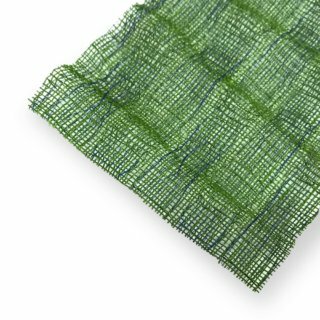 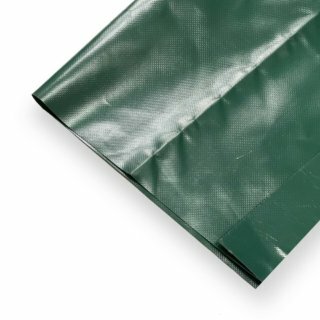 DuraMat RF is a double twist steel mesh reinforced with a 3-dimensional composite matting that provides high strength and low elongation, preventing scour while assisting vegetation growth. 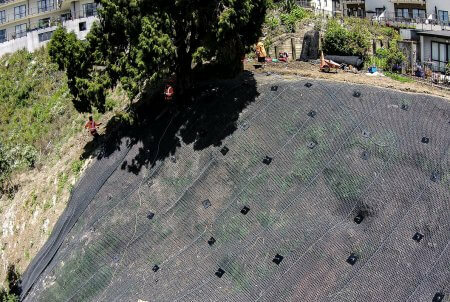 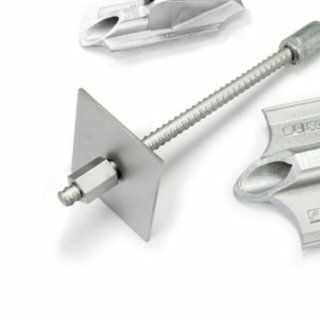 Along with DuraMat RF – AquaDuct, T-RECS turf reinforcement matting and over 300 Platipus® S8 anchors were used. 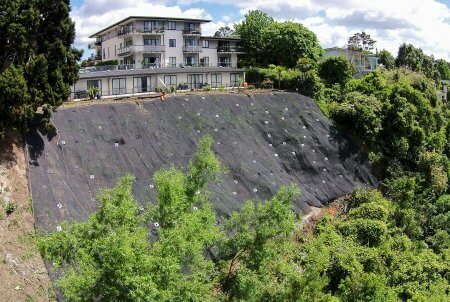 The project was completed successfully, and there has been no further erosion of the cliff face.